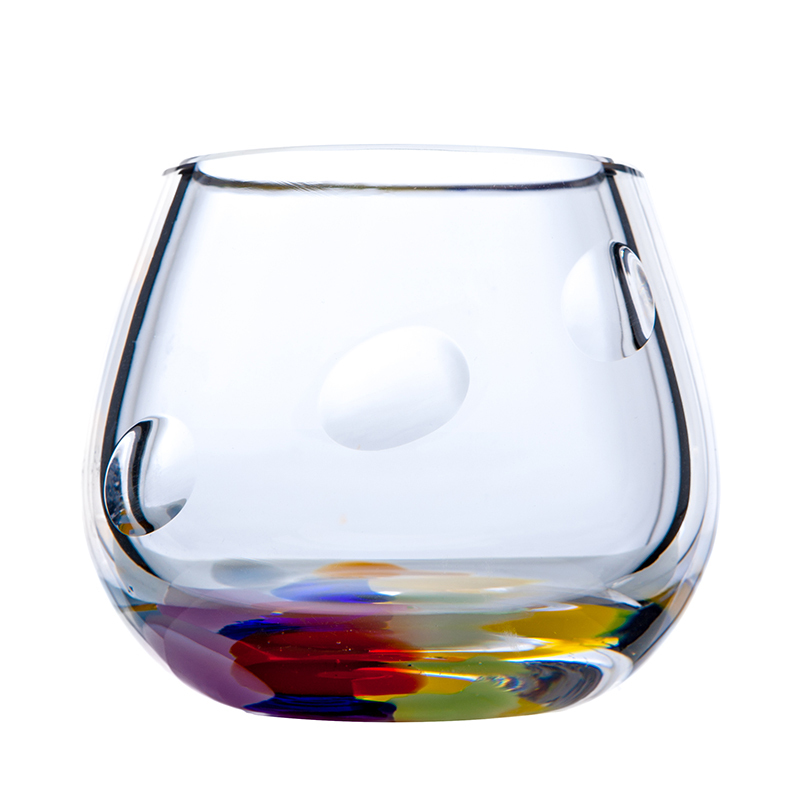 A brandy balloon shaped T.light votive with 7 colours which represent 7 wild flowers of Ireland, with highly polished ‘olive’ cuts. Our new collection ‘Wildflowers’ takes it design inspiration from flora found in Ireland. Each colour used in making the pieces are associated with Irish flora, The orange of the Poppy, the green of the Fern, the yellow of the buttercup and the violet of the bluebell are just some of the 7 colours used in this Summery collection. Each piece is painstakingly hand cut with 3 highly polished ‘olive’ cuts to add to its beauty. Our brandy ballon shaped candle votive is a fantastic piece of crystal, enhanced by the addition of these colours and cuts.